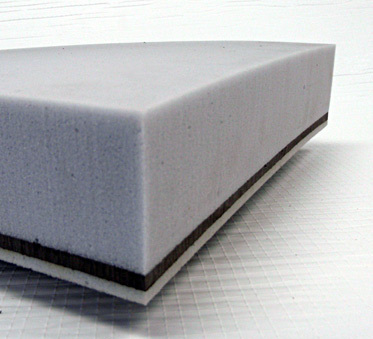 Whispermat™ Safe and Sound combines a specially formulated barrier with high temperature melamine foam. The mechanical bond between foam and barrier is formed as the barrier is cured, eliminating the potential for adhesive failure and enhancing the flammability and smoke characteristics. This environmentally safe and acoustically sound composite meets the strict requirements of ASTM E 162-90 and ASTM E 662-93 for the transportation and rail industry.